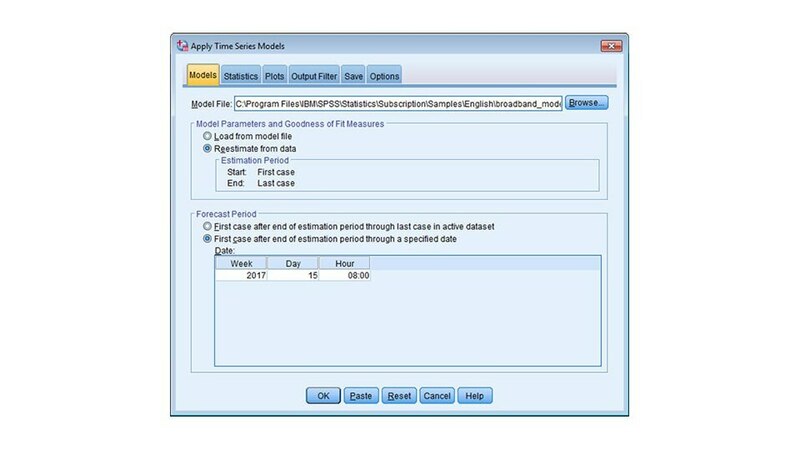 IBM SPSS Forecasting provides advanced capabilities that enable both novice and experienced users to quickly develop reliable forecasts using time-series data. People with less expertise can create sophisticated forecasts that integrate multiple variables, while experienced forecasters can use the software to validate their models. Examples of time-series forecasting include predicting the number of staff required each day for a call center, or forecasting the demand for a particular product or service. Develop reliable forecasts, regardless of the size of the data set or number of variables. 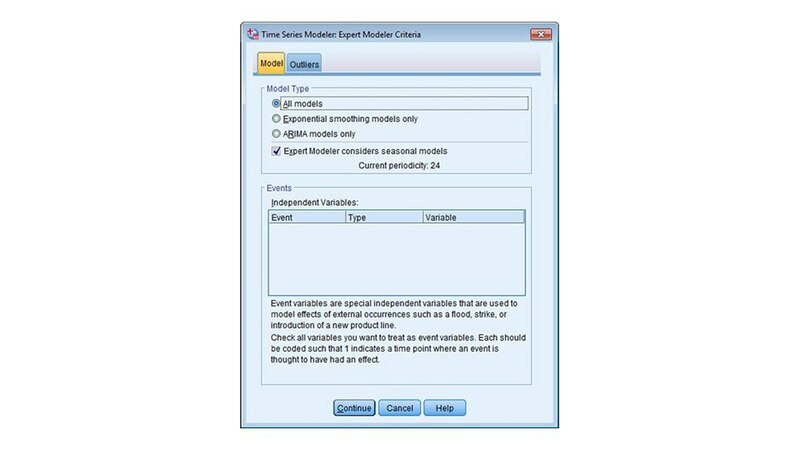 Advanced time-series modeling procedures help you create forecasts quickly. Automate model selection and parameters, and test your data for seasonality, intermittency and missing values. Deliver high-resolution graphs showing confidence intervals and goodness of fit. Measures include R2, root mean square error, mean absolute error, maximum absolute error and normalized BIC. Integrate data and results in other applications. 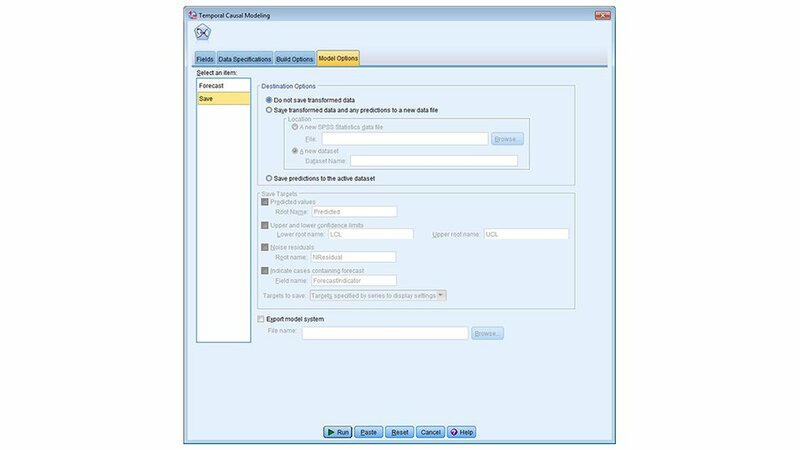 Write output in HTML or XML formats for posting on corporate intranets. 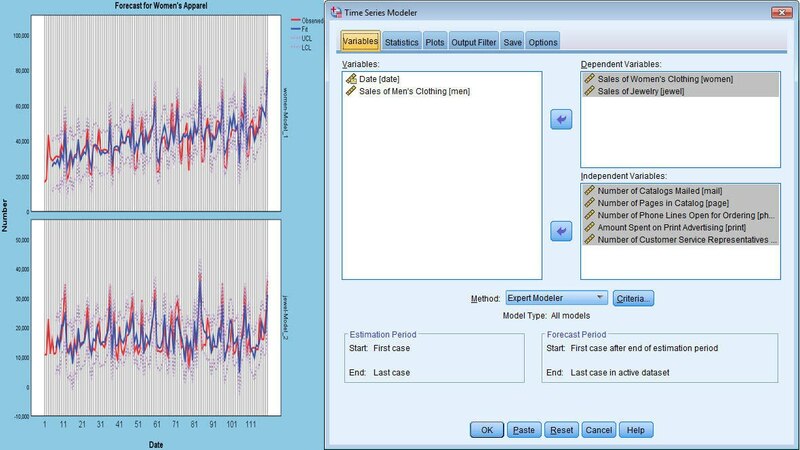 You can also save models as SPSS Statistics data files.